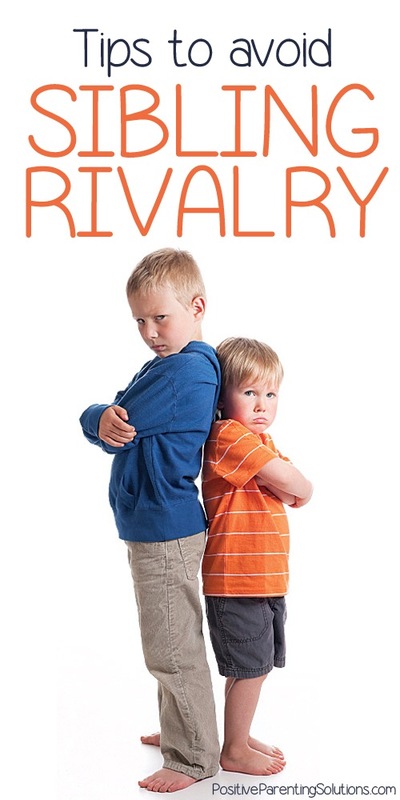 A dear grandma friend complained that her two grandsons, ages nine and seven, constantly fight. Their parents separate them by sending them to their rooms when this happens. She said when they are with her they each want her attention and each wants to be the one to win or be the best. She cannot send them to their rooms at her house, and remembers this Grandma’s mantra to “never say no” to the grandchildren, but cannot reconcile how to do this with two competitive brothers. Talking with her about ideas, she really came upon the solutions herself and her workable solutions are worth considering. We may have rooms to separate the warring sibling grandchildren, but we grandparents then lose. We become the disciplinarians, when it is the parents’ responsibility. We can use the old standard, and if the parents are present we can tell our grandchildren to “freeze” and get the parents. Our grandchildren always start laughing when we tell them to “freeze,” and we do not have to get the parents to intercede. But, what if we are the ones alone with the grandchildren? “Freezing” is still a great option as it defuses the immediate issue. Then we can go into distraction mode, such as “Simon Says.” We can use Simon to get them to move farther away from each other, put their hands behind their back, say they are sorry to one another. We can get Simon to make them realize and repeat that this issue is a little thing not worth fighting over. We grandmas can remind the grandchildren that grandma’s house is all fun, and we do not want to do anything that is not fun or anything that interferes with fun. We grandmas can remind the grandchildren that we do not do this at grandma’s house. When this Grandma has tried the ideas above, sibling rivalry seems to be lessened. Of course, if all else fails, distraction may end in bribing or rewards. A cookie or candy might just be the key. Grandma’s house can be different in that we can say that fighting does not occur in grandma’s house. Yes, “no fighting” can be a rule at grandma’s house that works because of our special time. Again, we grandmas can remind the grandchildren that we do not do this at grandma’s house. We can still say “freeze” or “stop” and do a dance and make up and sing a silly song, about how the specific behavior (making it sound sillier than silly) is “not at grandma’s house.” Silliness is acceptable for a grandma, especially if it results in forgetting the issue that caused the sibling conflict or rivalry. GG (great grandmother), my mother, was an expert at guilt. This Grandma is not successful with guilt, but I have been successful at showing great sadness and disappointment in myself that I did not succeed in stopping the grandchildren from fighting. I succeed by ending up having my grandchildren console me. Other than reminding each grandchild that this Grandma loves him or her to “infinity and beyond,” we grandparents emphasize that each grandchild is unique and special in his or her own way. When we are asked if we love the first grandchild most, our stock answer is “we love him the longest.” Every grandchild is special and wonderful and we let them know how special and wonderful they are. We emphasize the positive. We are quick to commend each grandchild and remind him or her that he or she is special. Verbalizing that mantra often, especially when rivalry occurs, is an important reminder of how special the grandparent-child relationship is. “We go wise and positive when they go negative,” is what this Grandma calls it. As grandparents, we should try not to compare the grandchildren to each other. . . or to a parent. However, it is hard not to commend the grandchild when they resemble one or other grandparent! We grandparents cannot seek perfection in ourselves and just try to do our best, just emphasizing joy in our grandchildren. To continue the theme of the uniqueness of each grandchild, the best, and sometimes the only solution to competitiveness, sibling rivalry, each want our undivided attention and each wanting to be the one to win or be the best, is to make sure to spend quality time with one grandchild at a time on a regular basis. Volunteering to drive and observe an activity for one grandchild is a win win for the parents. Playing one game with one and another game with another may lead to rivalry as to who goes first. Playing “rock, paper, scissors” or another way to choose, may or may not work as neither is used to compromise with grandparents. That is where it is great to have grandpa around! Alternatively, make compromise a game and hope it works. Of course, the old standby of distraction may end in bribing or rewards, if all else fails. A cookie or candy might just be the key. Both grandchildren might want to go second for one of grandma’s cookies. P.S. There are some great resources on the internet for more ideas, for grandparents or to recommend to parents.